As desired Yeon Hwa become the Queen of Goreyo turning her back over her brother and mother but still she lacks so many things. Only the title of the Queen didn't let her become the real Queen. She did everything but couldn't able to win King Wang So's heart nor gain his trust. She was infront of King Wang So arguing for the rights of his child and request the King to treat their only child properly as its his birthday. But he hadn't receive any affection. He fears the King a lot he fears his own father. 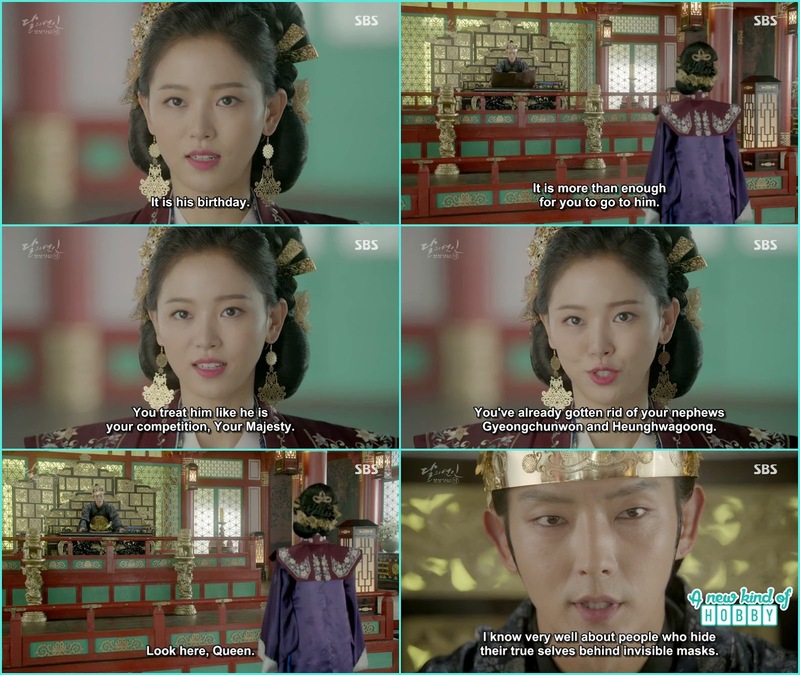 King Wang So listen to Yeon Hwa complain and show her the mirror saying that he knew very well about the people who hide their true selves behind invisible masks and he was also sure that one day Yeon Hwa along with his son came after the King to take over the throne as its in history and Wang So witness it twice. Hearing this straight answer Yeon Hwa had nothing much to argue and now nag for Hae Soo. That she was the one who still rules King;s heart and he never forget her even though she left him alone. Yeon Hwa''s words cruel yet she didn't realize it was she and her tongue that made her become loner and untrustworthy and witchy. 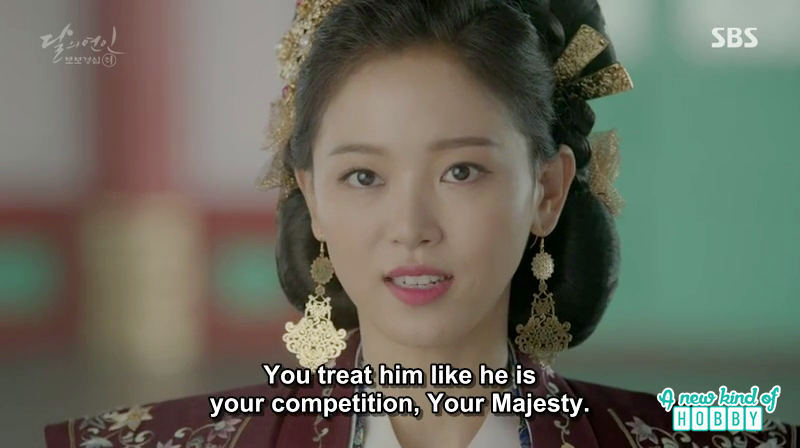 She taunt the King that he is emancipating the slaves as he can't forget Hae Soo. King Smiled over Yeon Hwa's truth and say will anything change here Yeon Hwa didn't gain aaything but a pain which last for her lifetime. She then told the king that she realize why Hae Soo left him and leave the palace to live a free life.